Due to the large number of players this year, we decided at the start of the year to enter 2 teams in the west cork League, one into the A section and one into the C section. In order to be fair to everyone we decided at the start of the year to play all the girls born 2003 on the A team for at least half an hour in the west cork A league games. (This could be in the first half or second half). Of course, this policy is all dependant on girlâs attendance at training and matches. We also entered a second team in the West Cork C league whereby all the girls who have not been getting game time with the A team have got game time with the C team. While having an extra team to look after has been a huge extra commitment for the coaches, we feel that this was the right thing to do for the girlâs development and enjoyment for the year. This policy which we have used thus far will continue for the West Cork A semi-final and final (if we get there). However, each of the 34 girls (born 2003 & 2004) are all part of the A panel and are asked to tog out for the semi-final and final. Most will not get any game time in these matches but the experienced gained and enjoyment of the occasion is to be shared by all. Should we qualify for the county section, selection will be open to every player, irrespective of age. This is due to the fact that only one Valley Rovers team can qualify for county. 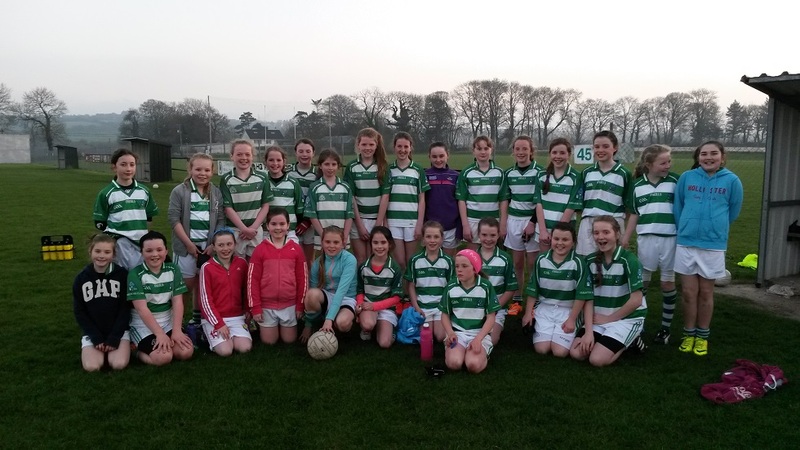 Valley Rovers Ladies U12B team continued their bright start to the League campaign with an excellent victory over Kinsale âBâ at Brinny last Monday evening. From the outset the Valleys forward line developed the upper hand, and were rewarded with early goals from Maeve OâSullivan and Ciara Taheny and a point by Lucy Callanan got the scoreboard ticking over. However Kinsale fought back well and tagged on two goals and a point to bring them back into the game. This however only encouraged the Valley girls to up their game and with Ellen Murphy and Cliona Prendergast beginning to dominate in midfield, they responded well and further goals from Callanan and Taheny and points from OâSullivan, Leanne Murphy and Prendergast allowed Valleys to push clear and at the break they led by 4-4 to 2-2 at half time. The second half saw Valleys pull away with some excellent attacking movements by all the forwards bringing another three goals from an excellent Ciara Taheny. Kinsale at no stage gave up however, and were enjoying a an equal amount of possession, but the Valleys defence for which Siofra Kelleher âBarry, Lauren Keane, Sinead McCarthy and Emma OâSullivan were working very well as unit, limited their scoring chances. Late goals from Lucy Calnan and Maeve OâSullivan extended the lead further and Valleys ran out comfortable winners in the end. This was another excellent performance from the girls and they continue to develop and learn with each game and continue to show and excellent work rate support for each other as a team. Oonagh Hayes, Ashling O'Donavan, Tara Gilli, Sinead McCarthy, Aine Ryan, Laoise Collins, Alison Kenny, Ellie O'Sullivan, Kate Lynch, Ashling Fennelly, Caoimhe McCarthy, Cora Higgans, Molly Collins, Orla O'Sullivan, Lucy Callanan, Rhian Dawkins, Leah Hoey, Niamh Crowley, Emma O'Sullivan, Ellen Murphy, Leanne Murphy, Molly Lynch, Sarah Higgans, Hannah Morrisey, Lauren Keane & Sarah Kenny.